Welcome to Tender. This is the first web app developed for chicken lovers. True pollophiles need to be able to access tasty chicken at anytime. 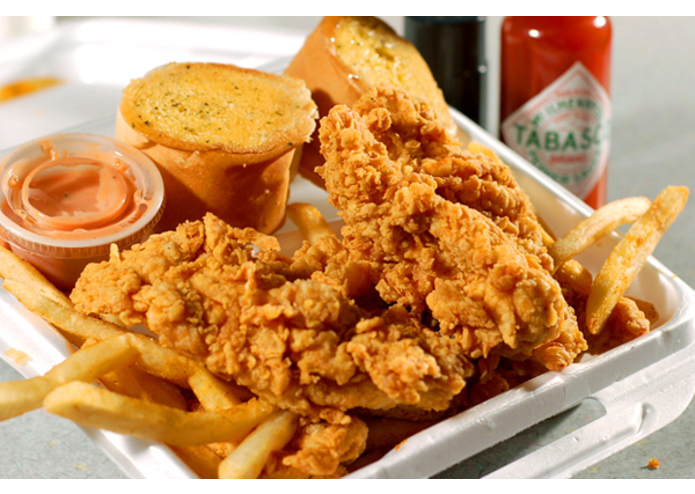 This is exactly what Tender is for. Our site tracks your geographic location and instantly connects you with the hottest chicken in your area. Now, like never before, you can indulge in the true pleasures of chicken in all of its forms. Our team is focused on bringing people together; helping them to connect over life's sole grand joy. Say a zesty, new chicken restaurant opens up a few blocks from your apartment, you are going to want to know about it, and you are going to want to try that new, zesty chicken immediately. That is what Tender is all about, facilitating these connections. The greatest virtues in this life are honesty, loyalty, and brotherhood. Chicken represents the intersection of these three. If we could all just learn to appreciate chicken more, we could appreciate each other more. We could all sing together as the vices of prejudice and hatred permanently melt away. Keep loving chicken, keep loving each other, keep striving towards new heights. Peace, Love, Tender.